A code established by the Landsraad, with the consent of the Kaiseress, for the planning, conduct and prosecution of war and defence of the Imperial Republic and its protectorates. This Code may be referred to in its short title of the Martial Code. a. This Code is comprised of four sections, which are then divided into subsections, then into articles and then into numbers. a. This Code may be amended by majority vote of the Landsraad or by Imperial decree. b. It shall be the responsibility of the amending actor (the Praetor or his designated officer in the case of the Landsraad) to ensure that official copies of this Code reflect new amendments. c. The meaning of specific provisions of this Code may be clarified by a Ministerial Order of the MoMA. d. Such clarifying Ministerial Orders may always be repealed, reversed or rejected by the Kaiser or Landsraad. a. The Imperial Forces are established as the sole body of forces that may use force in the name of the Imperial Government alone. I. The Imperial Shirerithian Fleet, responsible for naval warfare. II. The Imperial Shirerithian Air Forces, responsible for air warfare. III. The Imperial Army, responsible for the defence of the Imperial Dominions and land warfare. c. There shall be a common logistical and medical supply service for all three chains of the Imperial Forces, to be called the Shirerithian Supplies Service. a. The Kaiser shall be Commander-in-Chief of the Imperial Forces. b. The Kaiser may appoint a Minister of Military Affairs to delegate the control of the day-to-day operations and management of the Imperial Forces. I. Upon appointment, the Minister of Military Affairs shall be the supreme operational commander of the Imperial Forces subject only to the authority of the Kaiser in this respect. II. Upon appointment, the Minister of Military Affairs shall be the primary advisor to the Kaiser on matters of military affairs. c. There shall be a Ministry of Military Affairs that shall regulate the Imperial Forces and Shirerithian Supply Service. I. The Ministry of Military Affairs shall be subject to the control of the Kaiser, or if appointed, a Minister of Military Affairs. It's powers shall be exercised by the Kaiser or the Minister of Military Affairs. II. The Ministry of Military Affairs shall be required to maintain the orders of battle for the Imperial Forces. a. The Imperial Shirerithian Fleet shall act as the primary organisation for the conduct of naval warfare, retaining small forces for the conduct of amphibious land operations and naval aviation operations. I. The Imperial Shirerithian Fleet shall maintain a force at a minimum of 1 Aircraft Carrier, 8 Surface Combat vessels and 4 submarines. II. The Ministry of Military Affairs shall retain the right, with consultation of the Kaiser, to set the number of men, equipment and other matters relating to an Order of Battle. b. The Imperial Shirerithian Air Forces shall act as the primary organisation for the conduct of air warfare. I. The Imperial Shirerithian Air Forces shall maintain a force at a minimum of 10 Air Superiority Fighters, 10 Multi-Role Ground Attack Aircraft and 5 Strategic Attack Aircraft. c. The Imperial Army shall act as the primary organisation for the defence of the Imperial Dominions and for the conduct of land warfare. I. The Ministry of Military Affairs shall retain the right, with consultation of the Kaiser, to set the number of men, equipment and other matters relating to an Order of Battle. The Imperial Government is responsible for honouring its international treaty obligations in terms of military or logistical support. a. In order to further aid the objectives of s.3(1), a council shall be created consisting of the Kaiser, the Minister of Military Affairs and the heads of the Imperial States. I. The make-up of this Council may also include other Shirerithians at the invitation of the Kaiser. b. The ISDC shall advise the Kaiser of the Imperial States' military preparedness and shall advise the Imperial States of the priorities of the Imperial Government. c. The ISDC shall not have the power to order an Imperial State to change its military organisation. d. The IDSC shall draw up and coordinate defence policy between the Imperial Government and the Imperial States. a. 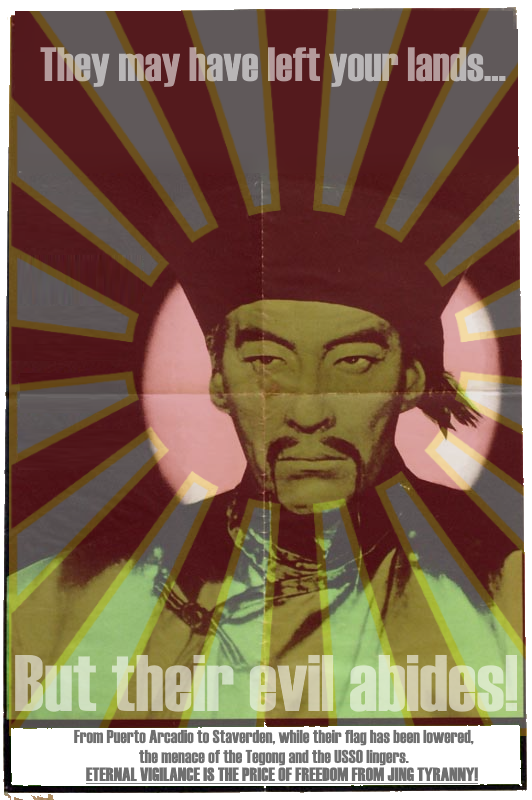 The Imperial Government shall have the right to declare war without consultation of the Imperial States. b. The Imperial Government shall have the power to deploy the Imperial Forces abroad. a. The Imperial States shall be responsible for the defence of the individual Imperial State. b. The Imperial States shall maintain a force of 100,000 troops under the Annunia + RecWar system or an equivalent force thereof under another system. c. The Imperial States shall be required to have a reasonable displacement of their Order of Battle to carry out s.4(1)(a). a. The Imperial States have the right to refuse the Imperial Forces permission to enter into an Imperial State during peacetime. b. The Imperial States have the right to refuse to deploy their forces to foreign states when the Imperial Republic is not in a state of war, formally declared by the Kaiser and endorsed by a resolution of the Landsraad. c. The Imperial States have the right to construct their orders of battle as they see fit so long as they are in compliance with s.4(1)(c). Her High Holiness Forn Siðr Fúrstafrúa Sigrdrífa the Priestess of the House of Vanadís, Ærkejarla of Thingeyri and the Idunn Isles, Yfirstormarksgythia and High Priestess of the Thingeyri Temple and His Imperial and Royal Highness Hallbjörn Haraldsson of the Houses of Ayreon-Kalirion and of the Descendants of Freyja, Steward of Elwynn, Imperial Chieftain of Tronderike, Arvjarl of the Twenty-Six Jarldoms, Storjarl of Stormark, Lord Imperial on all Continents, Knight of the Holy Lakes, moved by a common desire to consolidate and promote the friendly relations existing between the Jólaslafðir and the Elwynnese Union, wish to permanently regulate the relations between the Storish Ancient Ways and the Elwynnese Union in a way acceptable to both parties and to that end have decided to conclude a solemn agreement. The Elwynnese Union and the Jólaslafðir (hereafter the "High Contracting Parties") solemnly acknowledge each other as international legal persons, each considering the other party an independent legal person in compliance with international law, and pledge that they shall respect fully this legal personality. The Elwynnese Union assures and guarantees the practitioners of the Storish Ancient Ways who are present within its borders (hereafter "the Vanafolk") the free exercise of their spiritual relationships as well as the free and public exercise of their Storish Ancient Ways Faith in accordance with its venerable traditions and ancient customs. In the discharge of their official clerical duties, Vanafolk clerics who have been appointed, elected or selected by or under the authority of the Jólaslafðir shall be entitled to the protection of the Imperial State. The Jólaslafðir hereby assure and guarantee the Elwynnese Union that they - as well as any Vanic cleric or body of Vanic clerics that has been appointed, elected or selected by or under their authority - shall not engage in, or condone, any hostile, malicious or subversive act or policy against the Imperial State aforesaid. The Elwynnese Union hereby acknowledges the age-old right of the Jólaslafðir to, within the Vanic realm of their competence, issue laws, decrees and appointments: the Imperial State aforesaid shall neither hinder nor impede the exercise of the aforementioned right, under the laws valid for all in Elwynn, to manage and regulate spiritual and temporal affairs of the Vanafolk independently and, within the framework of their own competence, to issue binding laws and ordinances for the Vanafolk. The Jólaslafðir hereby assure and guarantee the Elwynnese Union that they shall, with regard to spiritual and temporal matters in Elwynn, adhere to the Law of the Lands of Elwynn as well as applicable regional and local law in force within the borders of the aforementioned Imperial State. They shall strictly charge and enjoin every Vanic cleric or body of Vanic clerics appointed, elected or selected by or under their authority to do the same. In order to foster good relations between the Jólaslafðir and the Elwynnese Union, a Vanic Sendifulltrúi shall reside in the Serene City of Eliria and an ambassador of the Elwynnese Union at the Jólaslafðir. The Elwynnese Union hereby recognises the Hjartardýrlafðir (“Deer Ladies” in the Storish language) - the council which shall be composed of the High Priestesses of the thirteen senior Vanic Temples Beyond-the-Seas in Elwynn - as the spiritual leadership of the Elwynnese branch of the Storish Ancient Ways. The branch aforesaid shall remain subject to the spiritual and temporal authority of the Jólaslafðir insomuch the aforesaid does not conflict with the Law of the Lands of Elwynn. The Hjartardýrlafðir, Vanic parishes, parish and templedom societies, High Priestessly sees, templedoms and chapters, religious orders and congregations, as well as institutions, foundations and property which are under the administration of Vanic agencies which have been or shall be created in Elwynn by or under the authority of the Jólaslafðir, shall be corporations under public law. They shall retain or acquire respectively, legal competence in the civil domain according to the general provisions of Elwynnese civil law. In dealings and correspondence with the clergy and the other employees of the Elwynnese branch of the Storish Ancient Ways, the Jólaslafðir shall enjoy full freedom without any exertion of influence, let or hindrance by the Elwynnese Union. The same shall apply to the dealings and correspondence of the Hjartardýrlafðir and various Templedom administrations with their clergywomen and the Vanic faithful. No temple, edifice, stone circle, annex, or object assigned for Vanic worship may be demolished, occupied, re-sited, altered, or designated by the Imperial State and other public bodies for any other ends, without the prior agreement of the competent Vanic clerical authority and for urgent reasons of public necessity. The same shall apply to the disaforestation of Godsgroves and the draining of Worship Waters. The Hjartardýrlafðir may raise and maintain an armed Temple Guard for the purpose of carrying out sentry, protection and ceremonial duties for and at the Vanic Temples Beyond-the-Seas in Elwynn and other premises, sites and establishments under the temporal or spiritual authority of the Elwynnese branch of the Storish Ancient Ways as well as their clerics, guests and staff. The aforesaid Temple Guard shall operate under such rules, regulations and policies for its good government as the aforesaid Deer Ladies shall see fit to issue in accordance with the provisions of this present Concordat. The Hjartardýrlafðir, before proceeding to issue rules, regulations and policies for the good government of the Temple Guard, shall communicate any such draft rules and regulations for the good government to the Elwynnese Government in order to find out if there are any objections against them. No rule, regulation or policy for the good government of the Temple Guard shall take effect over the objection(s) of the aforesaid Government, provided always that silence from the Elwynnese Government for thirty days after the aforesaid notification may be interpreted as to mean that there are no objections. The Jólaslafðir shall ensure that any Vanic cleric who is sent to the Elwynnese Union by or under their authority to hold a senior Vanic temporal or spiritual post, or otherwise sent to the country aforesaid on a Storish Ancient Ways mission, shall be well-versed in Elwynnese culture, customs and society. The Yule Ladies do hereby joyously and solemnly pledge that they shall endeavour to accomplish that in time the majority of the (senior) clerics of the Elwynnese branch of the Storish Ancient Ways shall be composed of Elwynnese citizens or individuals born and bred in Elwynn. The Jólaslafðir shall encourage Vanic Priestessly Initiates to make the Elwynnese Union one of their destinations when travelling the Dark Side of Reikistjarna during the days of their Sacred Voyage Lady travels. The Yule Ladies shall, before proceeding to appoint an individual to a senior Storish Ancient Ways position within the borders of the Elwynnese Union, communicate the name of the person chosen to the Elwynnese Government in order to find out if there are objections against her of a general political nature or she otherwise is in bad standing with the aforesaid Government. No person shall be appointed over the objection(s) of the aforesaid Government, provided always that silence from the Elwynnese Government for thirty days after the aforesaid notification may be interpreted as to mean that there are no objections. All matters covered by this Article shall be kept secret. Should a Vanakvinna or Vanakarl who professes the Storish Ancient Ways become Elwynnese Serenity, it shall be permitted for the Jólaslafðir, if the Serene person aforesaid wishes so, to appoint a Grand Almoneress of Avaldsnes to the Serene Court of Elwynn to provide for such Serene individual’s spiritual needs. Subject to this present Concordat, the appointment, selection or election of all other staff to institutions and other organisations of the Elwynnese branch of the Storish Ancient Ways shall be by or under the authority of the Jólaslafðir and in accordance with Vanic Law. Cats, lions, tigers, falcons, eagles, dragons, ravens, horses, boars and other animals sacred to the Vanafolk may be kept at the various Vanic Temples Beyond-the-Seas and other Vanic spiritual establishments operating in Elwynn by or under the authority of the Jólaslafðir for the purposes of Vanic ceremony and worship. Animal welfare officers of the Elwynnese Government may, in accordance with the Law of the Lands of Elwynn, carry out visitations to the Vanic sites where such sacred animals are kept. First Viking Age armaments may be kept at the various Vanic Temples Beyond-the-Seas and other Vanic spiritual establishments operating in Elwynn by or under the authority of the Jólaslafðir for the purposes of war dancing, ritual combat and other kinds of Vanic ceremony and worship. The competent Elwynnese authorities shall, in accordance with the Law of the Lands of Elwynn, be provided with the necessary information concerning the armaments that are kept and may make visitations in accordance with the aforesaid. The Hjartardýrlafðir may lay and collect a Temple Tax, for reasons of Vanafolk history and nostalgia to be known as Sóknargjöld, on the income of the Vanafolkers who belong to the Elwynnese branch of the Storish Ancient Ways. The Jólaslafðir may financially and materially support the Storish Ancient Ways in Elwynn without any let or hindrance from the Elwynnese Government. All institutions, organisations and clerics of the Storish Ancient Ways that operate within the borders of the Elwynnese Union by or under the authority of the Jólaslafðir shall be exempt from all taxation that exist in the aforesaid country. In turn shall the former not receive any monetary subsidies from the Elwynnese Government. The Elwynnese Government, other public bodies as well as private persons, both natural and legal, may make land grants to institutions and organisations of the Storish Ancient Ways which operate within the borders of the Elwynnese Union by or under the authority of the Jólaslafðir. The aforesaid Yule Ladies may, if they are in agreement with any such land donation, compensate any grantor, if (s)he wishes so, with land from their ownership which is situated on the Dark Side of Reikistjarna. At the end of any Friday Service and services in the observance of a Vanic Holy Day there shall in any Vanic Temple Beyond-the-Seas or other Vanic spiritual establishments operating in Elwynn by or under the authority of the Jólaslafðir a prayer be offered for the enduring peace and friendship between the Elwynnese Union and the High Realm of Stormark and their Peoples as well as the continued well-being of the same. Any difference of interpretation of any Article or Articles of this present Concordat which may arise between the High Contracting Parties will be settled bilaterally by peaceful means in a spirit of mutual respect and understanding. The High Contracting Parties shall ratify this present Concordat at their earliest convenience. The Concordat aforesaid shall enter force upon the exchange of ratifications which shall take place at the Court of the Prince of the Elwynnese Union in the Serene City of Eliria. The aforesaid Plenipotentiaries of the Jólaslafðir and the Elwynnese Union have affixed their signatures to the present Concordat to signify their acceptance of its Articles of High Contractation. Done in the Serene City of Eliria on the twenty-third day of Vixaslaa in the year 1623, corresponding to 3 Thrymheim 14. There shall be a firm and perpetual state of peace, friendship and good-neighbourly relations between His Most Bovic Majesty the Emperor of the Natopians and His Majesty and Niftiness the Kaiser of Shireroth, between Their Majesties' Heirs and Successors, between the Bovic Tapferite Empire of the Natopian Nation and the Imperial Republic, and between Their States, Demesnes, Citizens and Subjects, without discrimination. Each High Contracting Party shall respect the independence, sovereignty and territorial integrity of the other party. The High Contracting Parties shall continue to develop and consolidate the relations of sincere friendship, good neighbourliness and comprehensive cooperation existing between them on the basis of the aforesaid principles as well as those of equality and mutual benefit. The High Contracting Parties will maintain regular contacts with each other on major international problems affecting the interests of both of their countries and governments by means of meetings, and exchanges of views between their leading statesmen, visits by official delegations and special envoys of the governments, and through diplomatic channels. Their relationship will be governed by the general norms and provisions of international law and diplomacy. Embassies and other legations will be established in the territories of the High Contracting Parties. Each High Contracting Party undertakes to abstain from providing any assistance to any third country that engages in armed conflict with the other Party. In the event of either being subjected to an attack or a threat thereof, the High Contracting Parties shall immediately enter into mutual consultations in order to remove such threat and to take appropriate effective measures to ensure peace and the security of their countries. Each High Contracting Party solemnly declares that it shall not enter into any obligation, secret or public, with one or more States, which is incompatible with this Treaty. Each High Contracting Party further declares that no obligation be entered into, between itself and any other State or States, which might cause military damage to the other Party. Each High Contracting Party gives to the other full faith and credit to all public acts, records, contracts and judicial proceedings in the field of civil law, including records and documents on marriage, property, titles, death and inheritance, in as much as any act, record, document, contract, proceeding is done according to the law. Executive agreement between the governments of the Bovic Tapferite Empire of the Natopian Nation and of the Imperial Republic of Shireroth may provide for the manner that any act, record, document, contract or proceeding from one contracting party may be validated in the other. The maritime border between, on one hand, Tirlar and, on the other hand, Hawshire-Dura and Kezan shall be settled in accordance with the first schedule to this Treaty. The maritime border is governed by the provisions of the Convention of the Micras Treaty Organization on the Law of the Seas, with territorial waters and exclusive economic zones. There shall be a free movement of people, services and goods between the Bovic Tapferite Empire of the Natopian Nation and the territories under the direct jurisdiction of His Majesty and Niftiness the Kaiser of Shireroth. The High Contracting Parties declare that should any Shirerithian Imperial State desire accession to the system of free movement of people, services and goods between it and the Bovic Tapferite Empire of the Natopian Nation, agreement to make it so between that Imperial State and the Bovic Tapferite Empire of the Natopian Nation is by this Treaty authorized. Neither High Contracting Party shall object to such a regime. Any difference of interpretation of any Article or Articles of this Treaty which may arise between the High Contracting Parties will be settled bilaterally by peaceful means in a spirit of mutual respect and understanding. The High Contracting Party shall ratify this Treaty at their earliest convenience. The Treaty will enter force upon the exchange of ratifications which shall take place at the Court of His Majesty and Niftiness the Kaiser of Shireroth in the Imperial City of Shirekeep. In witness whereof His Most Bovic Majesty and His Majesty and Niftiness the Kaiser of Shireroth have signed the present Treaty. Done at the Matrimonial Palace in Ardashirshahr, the 234th day of the year 1622. The Landsraad authorizes the ratification by the Elwynnese Union of the Treaty between the Commonwealth of the Brettish Isles and the Elwynnese Union with regard to the area known as Green Valley (see schedule). 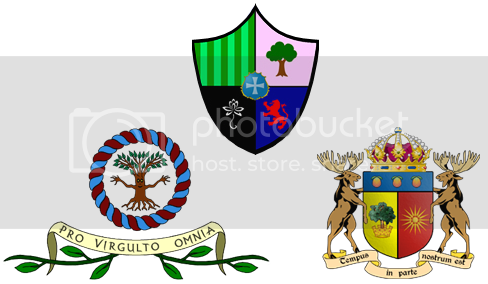 The Governments of the Commonwealth of the Brettish Isles and the Elwynnese Union have come to the following arrangement with regard to the area known as Green Valley. 1. The sovereignty and law of the area known as Green Valley will belong to the Elwynnese Union. 2. The International Peacekeeping force will be dismissed and the Green Valley territory will be kept secure by local forces operating under the flag of the Elwynnese Union. 3. The Commonwealth of the Brettish Isles is granted the right to administer the Green Valley territory under Elwynnese sovereignity and law. 4. The Restored Church of the Lord will receive official status in the Elwynnese Union and the Elwynnese Union will build a temple for the Church in the city of Eliria. 5. 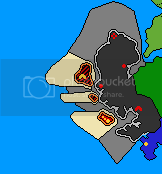 The Elwynnese Union and the Commonwealth of the Brettish Isles will enter a free-trade agreement. 6. This agreement shall be ratified by the Elwynnese Union and the Commonwealth of the Brettish Isles according to their respective constitutional requirements, and shall enter force upon the exchange of ratifications. Regarding the representative of Kildare: The Dutchy of Kildare, represented by Dutch Titus Myksos issued a declaration of independence on 17 October 2014, a declaration which was illegal under Article V, Section C of the Imperial Charter of Shireroth. According to the previous mentioned section of the Imperial Charter of Shireroth, the Dutchy was placed under the direct control of the Kaiser. Trajan Myksos, the Caudillo of the Apollonian Republic of Shireroth’s East can therefore not be considered a representative of the Dutchy of Kildare, not being given that role by Kaiser Redquill. Having placed themselves outside the Imperial Republic of Shireroth, the ALLIED FORCES are considered force external to the Imperial Republic of Shireroth. It is agreed by both parties that all territories belonging to the DUTCHY OF KILDARE on the date when this treaty is signed will be transferred to the ALLIED FORCES, exempting Hawshire-Dura. The ALLIED FORCES promise that they will not alter the status of Aracigrad. The Imperial Republic of Shireroth and the Holy Empire of Jingdao recognize each other as independent and sovereign states and recognize the territory of each other on the continents and islands of Micras, as kept by the Micronational Cartography Society. The Imperial Republic of Shireroth and the Holy Empire of Jingdao respect the territorial integrity of each other and will not plan or execute military attacks on each other. The Imperial Republic of Shireroth and the Holy Empire of Jingdao will solve future conflicts in a peaceful way, recognizing the legitimate interests of each other. The Imperial Republic of Shireroth and the Holy Empire of Jingdao will inform each other of developments in their country which relate to this treaty. This treaty will be in force until one week after one of the parties has announced to the other party that it has abolished the treaty or it has been superseded by another treaty. This treaty can be referred to as the Shireroth-Jingdao Recognition Treaty. have established the following points, emanating from mutual principles, as specified terms of a formal diplomatic relationship binding their two governments in international law. 1. The High Contracting Parties recognise and pledge never to violate the sovereignty, territorial integrity and legal jurisdiction of the other, and therefore recognise the respective applicability of each state's laws in relation to citizens of any nationality while within their jurisdiction. 2. The High Contracting Parties guarantee the diplomatic immunity of one another's Heads of State and Government as well as duly accredited ambassadors. Shireroth pledges to allow the opening and maintenance of a permanent Craitish embassy in Shirekeep, while Craitland will make available the former Elwynnese embassy for full use as a Shirerithian embassy. 3. The High Contracting Parties undertake to encourage full and productive co-operation between organs of the state, academic or other research institutions, charitable organisations and other such entities engaged in the pursuit of the furtherance of archaeology, cultural development, history, language, science, technology, and other such areas of research, across both jurisdictions, and shall endeavour to lift any unnecessary bars or fetters to such research and provide expedited state entry procedures for those individuals involved. 4. The High Contracting Parties shall permit and encourage trade, commerce and industry across their borders, with special consideration given to the transit of manufactured goods and raw materials. In major infrastructure projects, the governments of the High Contracting Parties shall in the tendering process consider companies from each nation alike. 5.1 Territorial waters, consisting of 24 kilometers from the coast of the state, subject to full jurisdiction of the state. 5.2 Reserve zone, consisting of 360 kilometers from the coast of the state, where the state has full ownership of economic and environmental resources. 6. Further clarification on the question of territorial water may be produced by mutual consent of the High Contracting Parties via an ancillary agreement to this Treaty. 7. This Treaty shall take effect upon ratification by the High Contracting Parties in accordance with their respective constitutional situation. 8. This Treaty shall be valid indefinitely, and may be amended, repealed or replaced by mutual consent of the High Contracting Parties. 9. Following the negotiation of any further amendments to this Treaty, it shall be re-signed and re-ratified. 10. This Treaty shall lapse if one High Contracting Party collapses, dies or is annexed by another sovereign nation, and shall not bind any successor state. Concluded this day, Friday, 29th November, 2013 / Fishday, 8th H'Graasreign, 5229 ASC, at Osĵätoņ. To all to whom these Presents shall come, we the undersigned Majesties the Rightly Ordained Emperors of the States affixed to our Names send Greeting. Whereas the aforementioned High Contracting Parties did through their various Parlements agree to certain articles of Amity and Alliance between the Imperial Republic of Shireroth and the Safirian Empire, viz. “Articles of Amity and Alliance between the Imperial Republic of Shireroth and the Safirian Empire”. 1. The Protectorate of Safiria Treaty is void. 2. Safiria becomes independent. Benkern as descendant of Kaiser Stan is Grand Duke of Qalani. 3. Safiria will go back to its own color on the MCS map. 4. Safiria can relocate its forum as it pleases. 5. Citizens of one party can apply for citizenship in the other; if they do, they are citizens. 6. Citizenship of one party doesn’t count against the other’s restrictions on citizenship, if any. 7. Neither party will fight the other. 8. The parties will respect each other’s cultures, languages, traditions, and peoples. 9. The parties and their legislatures may modify this treaty upon mutual agreement. 10. The parties will upon agreement ratify this treaty by signing and sealing the original in a timely manner. Then copies will be made for storage in Aňira and Shirekeep. 10bis. This original supersedes any English copies if they differ. 10ter. This original supersedes any non-English copies if they differ. The Landsraad here assembled resolves to ratify the MTO's aforementioned convention, the full text of which is contained in Schedule 1. 1. Any nation that has signed the General Membership Treaty may sign this Convention. 2. The territory of a state extends 24 kilometers from the baseline coast of that state. This water is considered territorial water and subject to the full jurisdiction of the state. All matters of customs, taxation, and immigration operate as if wholly within the state. 3. The reserve zone of a state extends 360 kilometers from the baseline coast of that state. The economic and environmental resources within this zone belong fully to that state. 4. In special situations where the territorial waters or the reserve zone of two states would overlap, the line of separation will be drawn along the midpoint between the baseline of each state. 5.1. In localities where the coastline is deeply indented and cut into, or if there is a fringe of islands along the coast in its immediate vicinity, the method of straight baselines joining appropriate points may be employed in drawing the baseline from which the breadth of the territorial sea is measured. 5.2. Where because of the presence of a delta and other natural conditions the coastline is highly unstable, the appropriate points may be selected along the furthest seaward extent of the low-water line and, notwithstanding subsequent regression of the low-water line, the straight baselines shall remain effective until changed by the coastal State in accordance with this Convention. 5.3. The drawing of straight baselines must not depart to any appreciable extent from the general direction of the coast, and the sea areas lying within the lines must be sufficiently closely linked to the land domain to be subject to the regime of internal waters. 5.4. Straight baselines shall not be drawn to and from low-tide elevations,unless lighthouses or similar installations which are permanently above sea level have been built on them or except in instances where the drawing of baselines to and from such elevations has received general international recognition. 5.5. Where the method of straight baselines is applicable under paragraph 4.1, account may be taken, in determining particular baselines, of economic interests peculiar to the region concerned, the reality and the importance of which are clearly evidenced by long usage. 5.6. The system of straight baselines may not be applied by a State in such a manner as to cut off the territorial sea of another State entirely from the high seas or a reserve zone. 6. Innocent Passage is permitted through territorial waters so long as it is not prejudicial to the peace, good order or security of the coastal State. Such passage shall take place in conformity with this Convention and with other rules of international law. 6.13. any other activity not having a direct bearing on passage. 7. Transit passage is permitted through the reserve zone solely for the purpose of continuous and expeditious travel between one part of the international waters or reserve zone and another. 8. This treaty recognizes the following bodies of water as International Waters: Great Western Sea, Halberd Strait, Shire Sea, Central Sea, Gaeos Strait, Raynor Sea, Northern Sea, Strait of Pearls, O'Rear Strait, Dyre Straits, Captive Sea, Orange Sea, Sea of Storms, Austral Strait, Eastern Ocean, Pond Strait, Normark-Lindley Passage, New Brannum Strait, Inner Cibolan Sea, and all other open ocean that is beyond the reserve zone of every nation represented on the Micronational Cartography Society's map. 8.1. Any portion of International Waters that would otherwise be defined as the territorial water of a State is excluded from the definition of International Waters. 9. Acts of piracy, boarding with hostile intent, purposeful harm to a person, and purposeful obstruction of transit in International Waters are to be considered intolerable and go against the order and law of the high seas. 10. This convention may be amended by 3/4 majority of signatory nations. The High Contracting Parties hereby recognise and pledge never to violate the sovereignty, territorial integrity and legal jurisdiction of the other, and therefore recognise the respective applicability of each state's laws in relation to citizens of any nationality while within their jurisdiction. The High Contracting Parties will maintain regular contacts with each other on major international problems affecting the interests of both of their countries and governments by means of meetings, and exchanges of views between their leading statesmen, visits by official delegations and special envoys of the governments, and through diplomatic channels. Their relationship will be governed by the provisions of the Vienna Convention on Diplomatic Relations, as they can be interpreted to the micronational setting. The High Contracting Parties shall guarantee the sovereign immunity of one another's Heads of State and Government as well as the diplomatic immunity of duly accredited ambassadors. The Imperial Republic of Shireroth pledges to allow the opening and maintenance of a permanent Hammish embassy in the city of Shirekeep, while the Commonwealth of Hamland pledges the same with regard to a permanent Shirithian embassy in the city of New Kirrie. The High Contracting Parties undertake to encourage full and productive co-operation between organs of the state, academic or other research institutions, charitable organisations and other such entities engaged in the pursuit of the furtherance of archaeology, cultural development, history, language, science, technology, and other such areas of research, across both jurisdictions, and shall endeavour to lift any unnecessary bars or fetters to such research and provide expedited state entry procedures for those individuals involved. The High Contracting Parties shall permit and encourage trade, commerce and industry across their borders, with special consideration given to the transit of manufactured goods and raw materials. In major infrastructure projects, the governments of the High Contracting Parties shall in the tendering process consider companies from each nation alike. c. Wherever the exclusive economic zones of the High Contracting Parties shall clash, the median point between the coasts of the states shall be the border of between the aforesaid exclusive economic zones. Further clarification on the question of territorial waters may be produced by mutual consent of the High Contracting Parties via an ancillary agreement to this Treaty. Each High Contracting Party gives to the other full faith and credit to all public acts, records, contracts and judicial proceedings in the field of civil law, including records and documents on marriage, property, titles, death and inheritance, in as much as any act, record, document, contract, proceeding is done according to the law. Executive agreement between the governments of the Imperial Republic of Shireroth and the Commonwealth of Hamland may provide for the manner that any act, record, document, contract or proceeding from one contracting party may be validated in the other. This Treaty shall take effect upon ratification by the High Contracting Parties in accordance with their respective constitutional laws and customs. This Treaty shall be valid indefinitely, and may be amended, repealed or replaced by mutual consent of the High Contracting Parties. Following the negotiation of any further amendments to this Treaty, it shall be re-signed and re-ratified. This Treaty shall lapse if one High Contracting Party collapses, dies or is annexed by another sovereign nation, and shall not bind any successor state. Concluded this day, 5864 ASC which corresponds to the 26th of August 2015 CE, at the city of Shirekeep. 5. The "Treaty of the Clear Sea" or the "Clear Sea Treaty" shall refer to the Treaty of the Clear Sea between the Empire of the Alexandrians and the Royal Kingdom of Gotzborg and the Bovic Tapferite Empire of the Natopian Nation and the High Realm of Stormark. 1. Shireroth abandons all title, right, and claim to the island of Llæng, and recognizes the title, right, and claim of Natopia over Llæng. 2. Natopia shall nonetheless allow members of the Froyalanish Branch of the House of the Descendants of Freya to use the titles Llængjarl if male and Llængjarla if female. This title shall not come with any specific privileges in Natopia. 1. Natopia cedes, in favour of Shireroth, all title, right and claim to the territory of Jorvik. 2. Natopia cedes, in favour of the King of Elwynn, all title and right that, under the Clear Sea Treaty, is afforded the Emperor of the Natopians. 3. Shireroth shall nonetheless allow members of the House of Waffel-Paine to use the titles Lord in Jorvik, if male, and Lady in Jorvik, if female. This title shall not come with any specific privileges in Shireroth. 1. This Treaty shall be ratified by the High Contracting Parties in a manner consistent with their respective constitutional and legal practices. 2. The Treaty enters force upon the exchange of instruments of ratification, which shall occur in the Embassy of the Imperial Republic of Shireroth in the City of Lindström, but no later than one full Elw-Natopian year after the signing of this Treaty. In witness whereof the duly appointed plenipotentiaries have signed this treaty. Done at Lindström this 24 Geburtsber 1631, corresponding to 10 Homersday of Viviantiana in ASC 5990. Treaty between the Imperial Republic of Shireroth, for itself and on behalf of the Elwynnese Union, on one hand, and the People's Soviet Republic of Mishalan, on the other, concerning the matter of the proprietorship of Amokolian Mishalan. 1.a. "Amokolian Mishalan" shall refer to the area of Mishalan formerly occupied by the Jeannite Kingdom. 1.b. "Shireroth" shall refer to the Imperial Republic of Shireroth, for itself and on behalf of the Elwynnese Union. 1.c. "Mishalan" shall refer to the People's Soviet Republic of Mishalan. 1.d. "Mishagrad" shall refer to the Mishagrad District, presently part of the Imperial Dominion of Shireroth which is known as the Transelwynn Territory. 1.e "Elwynn" shall refer to the Elwynnese Union. 2.a. The King of Elwynn is granted the title of Prince of Mishalan. 2.b. The Prince of Mishalan is granted a pension of 1 erb per Elw year, paid by the government of Mishalan. 2.c. Mishalan is granted all rights to Amokolian Mishalan. 2.d. Elwynn and Shireroth accept the autonomy of Mishalan as an Imperial Dominion of the Imperial Republic of Shireroth. 2.e. The Kaiser of Shireroth is recognized as Mishalan's head of state, and the General Secretary of Mishalan as its head of government. 2.f. The Kaiser of Shireroth shall, by Imperial Decree, dissolve the Transelwynn Territory, grant the Mishagrad District to Mishalan, and grant the remainder of the Transelwynn Territory, which shall from henceforth be known as the Vale of Angularis, to Elwynn. 2.g. The Church of Elwynn shall be free to build and maintain a Cathedral at or near the source of the tributary of the Blue Elwynn which is known as the Mishalanese Elwynn. 2.h. The Church of the Froyalanish Ancient Ways shall be free to build and maintain a Temple at or near the source of the tributary of the Blue Elwynn which is known as the Mishalanese Elwynn. 2.i. The entirety of the lands of Mishalan shall be as depicted on the Schedule to this Treaty. 2.j. The lands of the Vale of Angularis shall likewise be as depicted on the Schedule to this Treaty. 3.a. In the event that Mishalan becomes inactive (notwithstanding LOAs, etc) the communist government will be replaced by a monarchy, with Elwynn assuming control as the Principality of Mishalan. At this point the Prince of Mishalan would assume the position of head of government. 3.b. No restrictions to the free movement of people (such as river access) are allowed between Elwynn and Mishalan. This may be reviewed in times of duress and temporarily overruled by Imperial Decree. 4.a. This Treaty shall be ratified by the High Contracting Parties in a manner consistent with their respective constitutional and legal practices. 4.b. The Treaty enters force upon the exchange of instruments of ratification, which shall occur in Björkaborg Hall in the Royal City of Anun in the Princely Precinct of the Elwynnese Union which is known as the Kingdom of Amokolia, but no later than one full Elw year after the signing of this Treaty. Done at Raynor's Keep in the City of Shirekeep. WE the undersigned, wishing to commit our respective states to the full and final resolution of the governance of that unadministered territory between the Kingdom of Minarboria and the Imperial Republic of Shireroth, in due deference to the ancient interests of the Tellian Confederation, do hereby enact this Treaty of Gloomburg between the Kingdom of Minarboria, the Imperial Republic of Shireroth and the Tellian Confederation. The Kingdom of Minarboria enjoys full sovereign domain over that land directly between the Jollity of Toastytop and the frontier of the Imperial Republic of Shireroth at the time of this writing. The Imperial Republic of Shireroth enjoys full sovereign domain over a continuation of Mishalan extending east of the city of Niü Veña and north of the frontier of the Kingdom of Minarboria at the time of this writing. The Kingdom of Minarboria enjoys full sovereign domain over that land between the Lichgraviate of Lachmeren and the County of Gloomvale, excepting the city of Mamehblinij and its immediate hinterland which remains a subject of the Tellian Confederation. The Kingdom of Minarboria assures free and unimpeded passage across Minarboria's territory for citizens and material goods of the Tellian Confederation transiting directly between the Mamehblinij territory and other territories of the Tellian Confederation. The Imperial Republic of Shireroth, whether centrally or via a constituent territory in accordance with its own laws, enjoys full sovereign domain over a continuation of the Vale of Angularis extending westward to meet the territory of the Kingdom of Minarboria, excepting the cities of Fiorecittà and Scoglitto and their immediate hinterlands which remain subjects of the Tellian Confederation. 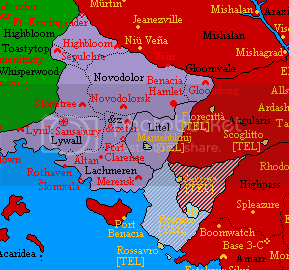 The Imperial Republic of Shireroth, including any constituent territory thereof, assures free and unimpeded passage across Shireroth's territory for citizens and material goods of the Tellian Confederation transiting directly between the Fiorecittà and Scoglitto territories, and similarly free and unimpeded passage across Shireroth's territory for citizens and material goods of the Tellian Confederation transiting directly between the Fiorecittà or Scoglitto territories and other territories of the Tellian Confederation. That territory beyond the administration of the cities of Romero, Savona and Rossavro which is not addressed by Article III or Article V of this treaty is divided in two parts by three borders: the first extends from the southern Lichgraviate of Highpass to the territory of the city of Romero. The second extends from the territory of the city of Romero to the territory of the city of Savona. The third extends from the territory of the city of Savona to the southernmost point of the border between the territories given in Articles III and V of this treaty. The territory to the south and west of the borders given in Article VII falls under the equal sovereignty of the Tellian Confederation and the Kingdom of Minarboria. For the purposes of this treaty, this territory is named the Minarborian Condominium. The territory to the north and east of the borders given in Article VII falls under the equal sovereignty of the Tellian Confederation and the Imperial Republic of Shireroth. For the purposes of this treaty, this territory is named the Shirerithian Condominium. Citizens and material goods of the Tellian Confederation enjoy full and unimpeded freedom of movement and settlement around and between the Shirerithian and Minarborian Condominiums. The right of the Tellian Confederation as exclusive sovereign administrator of the cities of Romero, Savona and Rossavro and their immediate hinterlands is assured. In the event of the sovereign demotion of the Tellian Confederation, any absorption of its fully sovereign territories into another state shall only occur with the consent of both the Kingdom of Minarboria and the Imperial Republic of Shireroth. In the event of the complete dissolution of the Tellian Confederation the territories of Mamehblinij and Rossavro shall pass to the direct rule of the Kingdom of Minarboria, the territories of Fiorecittà and Scoglitto shall pass to the direct rule of the Imperial Republic of Shireroth, the Minarborian Condominium shall pass to the direct rule of the Kingdom of Minarboria, the Shirerithian Condominium shall pass to the direct rule of the Imperial Republic of Shireroth, and the fate of the territories of Romero and Savona shall be decided by mutual consent of the Kingdom of Minarboria and the Imperial Republic of Shireroth. This Treaty shall come into effect upon its signature and ratification by all signatories in proper accordance with their respective domestic procedures. Concerning the government of the Condominium Territory of the Tellian Confederation and the Imperial Republic of Shireroth as determined by the Treaty of Gloomburg. This Charter concerns that territory designated the Shirithian Condominium by Article IX of the Treaty of Gloomburg agreed between the Tellian Confederation, the Kingdom of Minarboria and the Imperial Republic of Shireroth. This Charter shall remain valid while Treaty of Gloomburg shall be in effect, and shall be subject in full to the provisions of the aforesaid Treaty. The government of the Shirithian Condominium shall be the exclusive preserve of the Tellian Confederation and the Imperial Republic of Shireroth. The government of the Shirithian Condominium shall be conducted by the Consiglio Grande e Generale. The Consiglio Grande e Generale shall be a joint organ of the Imperial Republic of Shireroth and the Tellian Confederation. The Consiglio Grande e Generale shall be led by two officials who shall be known as Capitani Reggenti. One Capitano Reggente shall be appointed by the Tellian Confederation. The other Capitano Reggente shall be appointed by the Imperial Republic of Shireroth. The Capitani Reggenti shall answer directly to zir respective heads of state. The Consiglio Grande e Generale shall maintain an open channel of communication with the administration of the Shirerithian Condominium. Citizens of the Imperial Republic of Shireroth and citizens of the Tellian Confederation shall be permitted freedom of movement throughout the Shirithian Condominium. The aforesaid shall include citizens of the Tellian Confederation residing in the Shirerithian Condominium. Citizens of the Imperial Republic of Shireroth shall be permitted freedom of passage between the Shirithian Condominium and the territory of the Imperial Republic of Shireroth proper. Citizens of the Tellian Confederation shall be permitted freedom of passage between the Shirithian Condominium and the territory of the Tellian Confederation proper. Entrance to the Shirithian Condominium of individuals holding neither citizenship of the Tellian Confederation nor of the Imperial Republic of Shireroth shall require the issuance of a visa by the Consiglio Grande e Generale. Citizenship of newborns within the borders of the Shirithian Condominium is determined by parentage. Those born to citizens of the Imperial Republic of Shireroth on the territory of the Shirithian Condominium are considered citizens of the Imperial Republic of Shireroth. Those born to citizens of the Tellian Confederation on the territory of the Shirithian Condominium are considered citizens of the Tellian Confederation. Those born to citizens of both the Imperial Republic of Shireroth and the Tellian Confederation on the territory of the Shirithian Condominium are considered citizens of both Imperial Republic of Shireroth and the Tellian Confederation. Those born to citizens of neither the Imperial Republic of Shireroth nor the Tellian Confederation on the territory of the Shirithian Condominium shall be considered to hold those citizenships for which they are eligible in foreign states by way of their parents' citizenships. Where this eligibility does not exist through either parent, or where no parentage can be determined, the child shall be considered a Stateless Person whose final status shall be decided by the Consiglio Grande e Generale. The armed defence of the Shirithian Condominium is the responsibility of the Cedrocomando. The Cedrocomando is a joint military command of the Tellian Confederation and the Imperial Republic of Shireroth, answerable to the Consiglio Grande e Generale and responsible for the deployment of, and co-ordination between, the military forces of the Tellian Confederation and the Imperial Republic of Shireroth on the territory of the Shirithian Condominium. Where the Consiglio Grande e Generale is unable to agree upon a given course of action in the performance of its duties, resolution of the matter shall be entrusted to a neutral foreign arbitrator chosen by mutual consent of the Tellian Confederation and the Imperial Republic of Shireroth. This Charter shall come into effect upon its signature and ratification by the Tellian Confederation and the Imperial Republic of Shireroth. So sealed, and signed by my hand at Raynor's Keep, Shirekeep, on this Vivantiaday the 15th day of Vanchauslurk, in the six-thousandth three-hundred and fifth year ab sectora condita, corresponding to Izillare the 20th day of Gevrader in year sixteen-hundred and forty-two Anno Norton, in the Hour of the Squatting Toad. 1.1. The Government of the Imperial Republic of Shireroth and His Majesty the King of the Puritanian States have agreed to establish in the Puritanian States a new régime admitting of the administrative, juridical, educational, economic, financial and military reforms which the Imperial Government may deem useful to be introduced within the Puritanian States. 1.2. 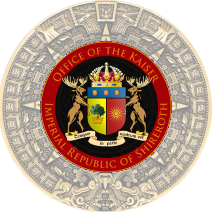 His Majesty the King of the Puritanian States gratefully donates to His Imperial Majesty the Kaiser the gift of the right to exercise his sovereign power within the Confederation of Puritanian States and to the Government of the Imperial Republic of Shireroth that same prerogative in the name of the Kaiser. 1.3. Gifts of earth and water from the Puritanian States shall be placed before His Imperial Majesty the Kaiser at Raynor's Keep no more than thirty days hence. the Puritanian States shall not at any time, without the consent of Kaiser of Shireroth, quit its association with the Imperial Republic of Shireroth. 1.4. His Imperial Majesty the Kaiser recognises the formation of a High Council to represent the peoples and communities of the Puritanian States and to support the King. 1.4.1. the Puritanian States shall freely abide by the laws of Shireroth where they pertain to it. 1.5. As a fiefholder of the Kaiser the King of the Puritanian States shall be enjoy the rights and powers of an Imperial Dominion and a Protectorate of the Imperial Republic. 1.5.1. The King of the Puritanian States shall exercise no powers within the Puritanian States save for those conferred by the High Council so long as the association with the Imperial Republic of Shireroth shall endure. 1.6. With the consent of the High Council the King of the Puritanian States may renegotiate the bonds of association with the Imperial Republic. 1.7. Only a relative of the original King of the Puritanian States, Theodosius/Marcus, may inherit the throne. If a relative cannot be found, then a Regent may be chosen by the Kaiser, on the advice of the High Council until such time that a suitable relative can be found. 2.1.3. Receive within the territories of the other, upon submitting to conditions imposed upon its nationals, the most constant protection and security for their persons and property, subject to the will of the duly constituted authority. 2.1.4. In all instances the the duly constituted authority shall be deemed to be the Kaiser. 2.2. Citizens of Imperial Republic of Shireroth and the Confederation of Puritanian States in the exercise of the right of freedom of worship, within the territories, may, without annoyance or molestation of any kind by reason of their religious belief or otherwise, conduct services either within their own houses or within any appropriate buildings which they may be at liberty to erect and maintain in convenient situations, provided their teachings or practices are not contrary to public morals. 2.3. Between the territories of the Negotiating States there shall be freedom of commerce and navigation. The nationals of each of the Negotiating States, shall have liberty freely to come with their vessels and cargoes to all places, ports and waters of every kind within the territorial limits of the other which are or may be open to foreign commerce and navigation. 2.4. The territories of the Confederation of Puritanian States are as defined at Schedule I appended to this Treaty. The Imperial Republic of Shireroth shall have responsibility for communicating these to the relevant authorities of the Micronational Cartography Society. 3.1. The Confederation of Puritanian States accedes to the guidance of the Imperial Republic of Shireroth with regards to all matters pertaining to its defence, security and foreign policies. 3.1.1. The Confederation of Puritanian States grants, and the Imperial Republic of Shireroth accepts, the right to dispose Shirerithian forces in and about the territory of the Kingdom as determined by mutual agreement. 4.1. Subject to any limitation or exception herein above set forth, or hereafter to be agreed upon the territories of the Negotiating States to which the provisions of this Treaty extend shall be understood to comprise all areas of land, water, and air over which the Parties respectively claim and exercise dominion as sovereign thereof, either internally or on the Micronational Cartography Society Map. 4.2. The present Treaty shall be ratified, and the ratifications thereof shall be exchanged at Shirekeep as soon as possible. 4.4. Any further issues arising from this treaty shall be clarified by Imperial Rescript, deriving authority from the decrees of the Kaiser. As agreed upon and proposed by the ministers of the governments of Shireroth, Alexandria, and Natopia united together in friendly congress, the occasion has been judged proper for asserting, as a principle in which the rights and interests of Shireroth, Alexandria, and Natopia are involved, that the Western Hemisphere, that is the continents of Benacia, Cibola, Tapfer, and associated major and minor outlying islands, by the free and independent condition which they have assumed and maintain, are henceforth not to be considered as subjects for future interference by any Other states. We owe it, therefore, to candor and to the amicable relations existing between Shireroth, Alexandria, and Natopia and those Other states in the world to declare that we should consider any attempt on their part to extend their influence to any portion of the Western Hemisphere as dangerous to our collective stability, peace, and safety. With the existing colonies or dependencies of any Other state we have not interfered and shall not interfere. But with the Governments who have declared their independence and maintained it, and whose independence we have, on great consideration and on just principles, acknowledged, we could not view any interposition for the purpose of oppressing them, or controlling in any other manner their destiny, by any Other state in any other light than as the manifestation of an unfriendly disposition toward the Western Powers. To further this shared goal Shireroth, Alexandria, and Natopia join together as allied, aligned, and cooperative states under the following provisions. 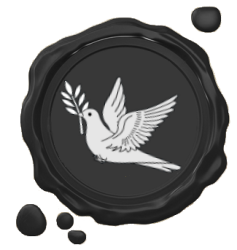 The Signatory Nations will contribute toward the continued development of peaceful and friendly international relations by strengthening their institutions, by bringing about a better understanding of the principles upon which these institutions are founded, and by the continued promotion of stability and well-being. The Signatory Nations hereby pledge that an armed attack against one or more of them shall be considered an attack against them all and consequently agree that in the occurrence of such attack, that each of them shall exercise their right of individual or collective self-defence and assist in concert with the other Signatory Nations to pursue the necessary and proper actions to restore and maintain the security of the threatened and attacked. Where a Signatory Nation is the instigator of an attack on another power that was not in self-defence in the face of an imminent proven threat of attack, no obligation shall exist on the part of other Signatory Nations to intervene except to offer humanitarian assistance and or mediation to the belligerent parties. Being mindful of the Convention on the Laws of the Seas which states that acts of piracy, boarding with hostile intent, purposeful harm to a person, and purposeful obstruction of transit in International Waters are to be considered intolerable and go against the order and law of the high seas; the Signatory Nations authorises and institutes a Joint Mission which shall be known as the Festival de las Armadas. escorting ships accross the seas at the request of the owner(s). The Signatory Nations may, by mutual agreement, terminate the mission of the Festival de las Armadas when they are satisfied that its objectives have been substantially met. The Signatory Nations have agreed to establish a Joint Command of the armed forces that by agreement among the Signatory Nations shall be assigned to the Command, which shall function on the basis of jointly established principles. They shall likewise adopt other agreed measures necessary to strengthen their defensive power, in order to protect respective peoples, guarantee the inviolability of their frontiers and territories, and provide defence against possible aggression. The Joint Military Council shall be composed of an equal number of representatives for all Signatory Nations. Representatives shall be appointed by the chief military authority of each Signatory Nation to this treaty. The Joint Military Council shall implement Articles 4, 5, 6, 7, 8, 9 and 12 of this agreement. The Council shall have a Chairman elected among themselves who shall preside over its meetings who shall cease to be a representative upon election, with a new representative selected to fill these vacancies. The Chairman shall serve at the pleasure of a majority of the representatives. Military vessels from of the Signatory Nations are barred from the reserve zones and territorial waters of their fellow Signatory Nations without prior authorisation. The Imperial States of the Imperial Republic of Shireroth may opt to not participate in the economic provisions of this treaty by notification to the Imperial Government of Shireroth which is then to notify the Government of the Bovic Empire of the Natopian Nation who shall formally advise the other Signatory Nations of a derogation from the treaty by a Shirerithian Imperial State. No derogation by a Shirerithian Imperial State shall affect the full standing of the Imperial Republic of Shireroth as a Signatory Nation. In criminal proceedings, a court of law in one Signatory Nation may request to a court of law in the other to extradite any person resident in or citizen of that first Signatory Nation if that resident or citizen has been indicted for a crime. Such request shall be granted unless it is obvious that the alleged crime is political in nature. In criminal proceedings, a court of law in one Signatory Nation may request to a court of law in the other to extradite any person resident in that second Signatory Nation if that person has been indicted for a crime. Such request shall be granted only if agreed by the governments of the Signatory Nations concerned. The airspace of a Signatory Nation is defined as all air, up to 100km, directly above the Signatory Nation and its territorial water, but not its reserve zone. The airspace of Bencia, Cibola, and Tapfer is open to all other Signatory Nations for commercial and passenger services. This access may be temporarily revoked by a Signatory Nation in national emergencies. Airspace within a Signatory Nation's reserve zone, or international airspace beyond a Power's reserve zone and not included in any other nation's reserve zone may be placed under the air traffic control agency of a Signatory Nation for controlling passenger and cargo planes safely. Military aircraft may not use another Tapfer Power's airspace without prior authorization. The Signatory Nations agree upon the principle of expanding the regime of international governance enshrined in the "Tapfer Continental Organization and Standardization Treaty", being an example of modern best practice in the genre, to the other Western Hemisphere continents of Benacia and Cibola. Each Signatory Nation declares that none of the international engagements now in force between it and any other of the Signatory Nations or any third State is in conflict with the provisions of this Treaty, and undertakes not to enter into any international engagement in conflict with this Treaty. Each Signatory Nation gives to the other full faith and credit to all public acts, records, contracts and judicial proceedings in the field of civil law, including records and documents on marriage, property, titles, death and inheritance, in as much as any act, record, document, contract, proceeding is done according to the law. Executive agreement between the governments of the Signatory Nations may provide for the manner that any act, record, document, contract or proceeding from one contracting party may be validated in the other. There shall be a Permanent Commission to implement this agreement, to be composed of a single Plenipotentiary to be appointed by the respective Governments of the Signatory Nations, in accordance with their internal procedures. The Permanent Commission shall elect a High Commissioner, who need not be a Plenipotentiary of the Permanent Commission, but who must be a national of a Signatory Nation, and who shall preside over the meetings of the Permanent Commission. The High Commissioner shall administer the Secretariat, which shall provide administrative and operational support to the Permanent Commission. The Signatory Nations may, by unanimous agreement, invite any other Nation in a position to further the principles of this Treaty and to contribute to the peace, stability and security of the Western Hemisphere to accede to this Treaty. Any Nation so invited may become a Signatory Nation to the Treaty by depositing its instrument of accession with the Government of the Bovic Empire of the Natopian Nation. The Natopian Government shall inform each of the Signatory Nations of the deposit of each such instrument of accession. This Treaty shall be ratified by its Signatory Nations and its provisions carried out by them in accordance with their respective constitutional processes and requirements. The instruments of ratification shall be deposited as soon as possible with the Government of the Bovic Empire of the Natopian Nation, which will notify all other signatories of each deposit. The Treaty shall enter into force between the Nations which have ratified it as soon as the acts of ratification of Shireroth, Natopia and Alexandria have been deposited and shall come into effect with respect to other Nations on the date of the deposit of their act of ratification. Any time after the Treaty has been in force for at least one (1) year, any of the Signatory Nations may call for the collective review of the Treaty, having regard for the factors then affecting the peace and security of their nations, the defence of the common values of the Western Hemisphere. Any Signatory Nation, after having been a Signatory Nation for six (6) months, may withdraw from the Treaty and end its commitment and involvement in the Shirerithian Alexandrian and Natopian Entente. The Government of the withdrawing Signatory Nation must deposit a notice of withdrawal with the Government of the Bovic Empire of the Natopian Nation, which will inform the Governments of the other Signatory Nations of the deposit of each notice of denunciation. This Treaty shall be deposited in the archives of the Government of the Bovic Empire of the Natopian Nation, with duly certified copies transmitted by that Government to the Governments of other signatories. The high contracting parties recognise the full sovereignty and territorial integrity of the other. The parties commit themselves to resolve any differences by peaceful and non-violent means. If either of the high contracting parties shall be at War with any Nation whatever, the other Party shall not take a Commission from the Enemy nor fight under their Colours. If either of the high contracting party shall be at War with any Nation whatever and take a Prize belonging to that Nation, and there shall be found on board Subjects or Effects belonging to either of the high contracting parties, the Subjects shall be set at Liberty and the Effects returned to the Owners. And if any Goods belonging to any Nation, with whom either of the high contracting parties shall be at War, shall be loaded on Vessels belonging to the other Party, they shall pass free and unmolested without any attempt being made to take or detain them. Each of the high contracting parties shall be at liberty to establish Consuls-General, Consuls, Vice-Consuls or Consular Agents at the ports and places of trade of the other party, except those where it may not be convenient to recognize such officers; but this exception shall not apply to one of the high contracting parties without also applying to every other Power. Consuls-General, Consuls and other Consular officers appointed and taking office according to the provisions of this article, in one or the other of the two countries, shall be free to exercise the right accorded them by the present convention throughout the whole of the district for which they may be respectively appointed. The said functionaries shall be admitted and recognized respectively upon presenting their credentials in accordance with the rules and formalities established in their respective countries. The exequatur required for the free exercise of their official duties shall be delivered to them free of charge; and upon exhibiting such exequatur they shall be admitted at once and without interference by the authorities, Federal or State, judicial or executive, of the ports, cities and places of their residence and district, to the enjoyment of the prerogatives reciprocally granted. The Consuls-General, Consuls, Vice-Consuls and Consular Agents, their chancellors, and other Consular Officers, if they are citizens of the State which appoints them, shall be exempt from military billetings, from service in the military or the national guard, and other duties of the same nature, and from all direct and personal taxation, whether federal, state or municipal, provided they be not owners of real estate, and neither carry on trade nor any industrial business. Consuls-General and Consuls shall have the power to appoint Vice-Consuls and Consular Agents in the cities, ports and towns within their consular districts, subject, however, to the approbation of the Government of the country where they reside. These Vice-Consuls and Consular Agents may be selected indiscriminately from among citizens of the two countries or from foreigners, and they shall be furnished with a commission issued by the appointing Consul, under whose orders they are to be placed. They shall enjoy the privileges and liberties stipulated in this convention. Consuls-General, Consuls, Vice-Consuls or Consular Agents shall be at liberty to go on board the vessels of their nation admitted to entry' either in person or by proxy, and to examine the captain and crew, to look into the register of the ship, to receive declarations with reference to their voyage, their destination, and the incidents of the voyage; also, to draw up manifests, lists of freight, to assist in despatching their vessels, and finally to accompany the said captains or crews before the courts and before the administrative authorities, in order to act as their interpreters or agents in their business transactions or applications of any kind. The judicial authorities and custom-house officials shall in no case proceed to the examination or search of merchant vessels without previous notice to the consular authority of the nation to which the said vessels belong, in order to enable them to be present. They shall also give due notice to Consuls, Vice-Consuls or Consular Agents, in order to enable them to be present at any depositions or statements to be made in courts of law, or before local magistrates. bv captains or persons composing the crew, thus to prevent errors or false interpretations which might impede the correct administration of Justice. The notice of Consuls, Vice-Consuls or Consular Agents shall name the hour fixed for such proceedings, and upon the non-appearance of the said officers or their representatives, the case shall be proceeded with in their absence. In the event of a vessel belonging to the Government, or owned by a citizen of one of the two contracting States, being wrecked or cast on shore upon the coast of the other, the local authorities shall inform the Consuls-General, Consuls, Vice-Consuls or Consular Agents of the district of the occurrence, or if such Consular Agency does not exist, they shall communicate with the Consul-General, Consul, Vice-Consul or Consular Agent of the nearest district. Consuls, Vice-Consuls or Consular Agents, shall have exclusive charge of the internal order of the merchant vessels of their nation. They shall have therefore the exclusive power to take cognizance of and to settle all differences which may arise at sea or in port between captains, officers and crews in reference to wages and the execution of mutual contracts: subject in each case to the laws of their own nation. The local authorities shall in no way interfere, except in cases where the differences on board ship are of a nature to disturb the peace and public order in port or on shore, or when persons other than the officers and crew of the vessel are parties to the disturbance, except as aforesaid' the local authorities shall confine themselves to the rendering of forcible assistance if required by the Consuls, Vice-Consuls or Consular Agents, and shall cause the arrest, temporary imprisonment and removal on board his own vessel of every person whose name is found on the muster-rolls or register of the ship or list of the crew. The high contracting parties will establish free trade relations between the continents of Eura and Benacia, with the Ports of Nivardom and Musica, respectively, being reserved as a staple port for the carrying on of trade between the high contracting parties. Trade ships of either of the high contracting parties passing through the territorial waters, as defined by the Convention on the Laws of the Seas, of the other shall not be subject to border checks and other limitations on their right to trade and sail in the other's territory. Ryker Airships will maintain a daily cargo and passenger service between Shirekeep and Vey. The high contracting parties shall pay for and maintain a fisheries and commerce protection fleet under the flag of the Maritime Free Republic, supported by the ESB Group, based in the port of Nivardom for the purpose of protecting the shipping of the high contracting parties and other friendly third parties against depredations by pirates and hostile states. The Treaty shall be amendable by the mutual consent of the high contracting parties and shall enter into force once the high contracting parties have ratified it in accordance with their constitutional and legal mechanisms. So sealed, and signed by my hand, in the year sixteen forty-three Long Count, sixty-three forty Short Count, in the hour of the Auspicious Conjunction. A code established by the Landsraad, with the consent of the Kaiseress, to establish and define the core offences against the Imperial Republic; the Dominion and Person of the Qaisar Baanooye Sathratiye, the Citizens of the Imperial Republic, Denizens and foreigners to which all crimes may be correctly related by the interpretation of the Imperial Inquisition and the Imperial Judex. Allowing such crimes to be identified and rightfully punished by the ways and means set forth in the Lawbook. 1.1. The purpose of Law is to upon hold a rightly-guided order in the public sphere of the affairs of Sentient Creatures, and in so doing to achieve a true realisation of the coordinated and harmonious society; that holds all subject to their correct placement in the virtuous hierarchy, with the base populace supplicant to the apex, Her Imperial Magnificence, the capstone of sovereignty, the dispenser of radiant light, and the wisdom of the Gods. 1.2. No act shall be considered a crime that is not specifically declared unlawful, except where it is educed by Authority to be contrary to Common Law or is in violation of the precepts of Cedrist Custom, Orthodoxy and Tradition, known to the Authority. 1.3. Ignorance of the Law on the part of the accused is not deemed to be admissible as a valid excuse for escaping justified punishment for acting in the commissioning of a crime even if it were presupposed to have been embarked upon solely as a consequence of the aforementioned state of ignorance. 1.4. Persons who are not citizens or denizens of the Imperial Republic but whom are residing or dwelling, for whatever purpose, within the Imperial Dominions of Shireroth, with or without lawful authority to do so, must be deemed to be subjects of the Imperial Republic for the purpose of this Act, unless otherwise specified in law. 1.5. Judicial Authority is defined as the persons and offices mandated under the Imperial Charter and the Lawbook for the combating of deviant lawlessness and for upholding the laws of the Imperial Republic as well as their general remit to undertake the aforesaid actions. For the purpose of this Act the Judicial Authority is deemed to mean the offices and office-holders of the Imperial Judex. 1.6. An Inquisitional Authority is that which has been specifically tasked with the investigation and eradication of crime and criminals through the judicial process, as set forth in the Lawbook. 1.7. The Imperial Constabulary is defined as the persons and offices mandated under the Lawbook. For the purpose of this Act the Imperial Constabulary is deemed to mean specifically the Shirekeep City Guard and the Imperial Marshals. 1.8. The Authority in this Act shall mean the Imperial Government, the highest lawful public authority for the Imperial Republic. 1.9. Office-holders shall be defined self-evidently as persons who hold an office in the service of Her Imperial Magnificence through the agency of the Imperial Government in return for a contracted wage, recurring salary or else any other form of nominal consideration. 1.10. A person who has been accused of a crime shall be deemed neither innocent nor guilty until the matter of the accusation has been properly assessed by lawfully constituted inquisitorial authorities, but instead remains simultaneously both innocent and guilty until clarification is achieved. 1.11. Any Imperial subject, who has been accorded the rights and privileges of citizenship in accordance with the requirements of the Law must, by way of acknowledging the evident superior virtue the possession of citizenship illustrates, be considered innocent as long as he is not convicted by a lawfully constituted inquisition. 1.12. Any punishment which is discordant to human dignity is not permitted. 2.1. The person of the Kaiser is sacred and inviolable. The Kaiser shall be enthroned in a position of revered worship and shall not be violated. No person shall expose the Kaiser to any sort of accusation or action. 2.1.1. Whoever defames, insults or threatens the Kaiser, Imperial Consort, the Heir-apparent or the Steward, is guilty of the offence of Lese-Majesty and shall, if a citizen, be punished with the forfeiture of liberty for the period of three years Anno Nortone and the revocation of citizenship. For a subject who commits the crime of Lese-Majesty, the punishment shall be shall be the extinction in all forms of the hitherto constituted persona (death). 2.2. Any attack on the Kaiser, be it against his physical form or his representative form, shall be deemed an act of Attempted Murder and the penalty shall be the same as for the act of Murder specified at 3.1 subsequently. 2.2.1. The Kaiser is the living symbol of the Imperial Republic and the Imperial Republic is the living symbol of the Kaiser. Any attack upon the infrastructure of the Imperial Republic, be it infrastructure or employees of the Imperial Government shall be construed as an attack on the person of the Kaiser himself. 2.3. Where any number of persons conspire to commit such a crime as specified under these articles, against the person, likeness or associates, of the Kaiser, or any other crime direct against the same, and the crime does not occur – when it is subsequently discovered it shall be regarded in such a way that the guilty parties will be punished in a manner consistent with how they would have been punished had the act in-fact been committed. 2.4. A person who, being a citizen of the Imperial Republic does anything tending to the death or destruction of the Kaiser; levies war, or does any act preparatory to levy war, against the Kaiser or the Imperial Republic; assists by any means whatever, with intent to assist, an enemy at war with the Imperial Republic, whether or not the state of public emergency has been declared; assists another person who is, to his knowledge, guilty of treason in order to enable him to escape punishment; or knowing that a person intends to commit treason, does not give information thereof to the Imperial Judex, the Imperial Inquisition or the Imperial Constabulary, shall be guilty of a crime, called Treason, and liable to the punishment of the extinction in all forms of the hitherto constituted persona (death). 2.5. A person who shall do any act or thing to overthrow the Charter of the Imperial Republic by revolution or sabotage or to overthrow by force or violence the duly established Imperial Government, shall be guilty of a crime, called Treachery, and liable to the punishment of the extinction in all forms of the hitherto constituted persona (death). 2.6. Any person who carries out an act to destruct any thing, substance or material that is used, or intended to be used, to the defence of the Imperial Republic, or to the maintenance of the internal security and public order therein, shall be guilty of a crime, called Sabotage, and liable to the punishment of the extinction in all forms of the hitherto constituted persona (death) or of suspension of civil rights for life. 2.7. Any person who, with the intention of causing violence or creating public disorder or public disturbance, says, writes, prints, utters or publishes any words bring the Kaiser, the Landsraad, the Imperial Advisory Council, the Imperial Shirerithian Defence Council, the Ministry of External Affairs, the Ministry of the Interior, the Ministry of Military Affairs or any court of law into contempt; to excite disaffection against the Imperial Republic; to excite the citizens of the Imperial Republic to attempt to procure the alteration, otherwise than by lawful means, of any matter established by law of the Imperial Republic; to promote feelings of ill-will between the ethnicities, races and species of the citizens of the Imperial Republic so as to endanger the peace, order and good government of the Imperial Republic; or counsels or advises any person to commit any of the aforesaid acts; shall be guilty of a crime, called Subversion of the Imperial Republic, and liable to the punishment of suspension of civil rights for a period fixed by the court. 2.8. Any person who, with an intent prejudicial to the safety or defence of the Imperial Republic, makes within or without the territory of the Imperial Republic, a sketch, plan or photograph of a place or thing, or a note or document of a thing, that is likely to be, might be or is intended to be directly or indirectly useful to an enemy or a foreign nation; obtains, collects, records, uses, has in possession or communicates to another person any information, including an opinion or a report of a conversation, that is likely to be, might be or is intended to be useful to an enemy or a foreign nation; or approaches, is in, enters, inspects or passes over a place prohibited by an Act; shall be guilty of a crime, called Espionage, and liable to the punishment of the extinction in all forms of the hitherto constituted persona (death) or of suspension of civil rights for a period fixed by the court. 2.9. Anyone who, in contravention of the provisions of the Charter, intends, attempts, or makes preparations to detach any part of the territory of the Imperial Republic, shall be guilty of a crime, called Lèse-Territoire, and liable to the punishment of the extinction in all forms of the hitherto constituted persona (death) or of suspension of civil rights for life. The same shall apply to the territory of any Imperial Dominion as well as the lands under the jurisdiction of any Imperial State. 3.1. A person who, unless it is approved by an Act, does any act, or attempts to do any act, to cause the death or destruction of another natural person, shall be guilty of a crime, called Murder, and liable to the punishment of death. 3.2. A person, who, without the consent of another person, uses the name of such person, shall be guilty of a crime, called Identity Theft, and liable to the punishment of suspension of civil rights for a period fixed by the court. 3.3. A person who, in order to cause a mistake of another person, uses a name, or declares to have a character, that is not his own, shall be guilty of a crime, called Deceit, and liable to the punishment of suspension of civil rights for a period fixed by the court or of forfeiture. 3.4. A person who takes into his possession any thing of any kind, including money, that belongs to another person, unless such an act is made in execution of a law or a contract, without receiving leave to do so from the Imperial Government, shall be guilty of a crime, called Theft, and liable to the punishment of suspension of civil rights for a period fixed by the court. 3.5. A person who commits the act defined in the precedent section in taking a thing that is entrusted to him by another person shall be guilty of a crime, called Fraud, and liable to the same punishment as is prescribed by the precedent section. 3.6. If two or more persons agree to commit any crime defined in this Act, but the intended crime shall not be committed, each of these persons shall be guilty of a crime, called Conspiracy, and liable to the same punishment that is prescribed by this Act for the crime they have agreed to commit. 4.1. The punishment of extinction in all forms of the hitherto constituted persona (death) produces the effect that the person sentenced thereto shall, on a day on which the punishment is executed by order of the court, cease to exist as a person. 4.1.1. The Authority shall make every effort to ensure that the shade of the deceased does not gain readmission to the Imperial Republic at some later date except by means of the most gracious pardon afforded by the Kaiser. 4.2. The punishment of suspension of civil rights produces the effect that the person sentenced thereto is not, during the term for which the punishment is sentences, liable to enjoy the civic rights due to a citizen under law. Where the punishment of suspension of civil rights is sentenced, the court may at the same time order that the property of the person sentenced to that punishment be confiscated by and in favour of the Imperial Republic. 4.3. The punishment of forfeiture produce the effect that the person sentenced thereto is bound to pay to the Imperial Republic such amount of money as the court fixes. 4.4. Where a person who is a citizen of the Imperial Republic is convicted for a crime defined herein or for the crime of conspiracy committed with intention to commit a crime therein defined, the court may order, in addition to the ordinary punishment prescribed by this Act, that the person ceases to be registered as a citizen of the Imperial Republic. 5.1. Nothing in this Code shall prevent the Authority from issuing decrees, ordinances and edicts in accordance with established remits. 5.2. Insomuch the Second Article of this Code describes certain behaviours which are already recognized as crimes against the Imperial Government by the Charter, albeit undefined, the provisions in the Article aforesaid shall, as sole and exclusive exception to the principle of nulla poena sine lege certa, be applicable retroactively from the first day of Silnuai in the year 1644 Anno Nortone. A state of close and sincere friendship and good neighbourliness shall define the relationship between the Government of the Imperial Republic of Shireroth ("the Imperial Government"), and the Government of the State of Talenore ("Talenore"). Citizens of the territory of either Party shall in the other enjoy the same benefits and obligations afforded citizens of the same rank in the Other. The defence obligations for Talenore rest upon the Imperial Government. Talenore's foreign and foreign-trade policies shall fully align with the policies of the Imperial Government. As such, treaties into which the Imperial Government has entered extend to Talenore. The Imperial Government shall, for the purposes of this Article, set a rate of budgetary contributions from Talenore that may not be proportionately larger than that for an Imperial Dominion. Talenore grants the Imperial Government, in the territory of Talenore, the power to enforce this Article. This Treaty binds the Imperial Republic of Shireroth and the State of Talenore. The Treaty remains in force until such time that either Party gives public notice to the other of its intention to withdraw from the Treaty. Following such notice, the Treaty shall cease to be in force one Norton year later, unless the Parties mutually agree to another time frame. This Treaty shall be ratified by the Parties in accordance with their constitutional processes, and shall enter force upon the exchange of ratifications, which shall occur in Talenore as soon as possible. In witness whereof the appointed Plenipotentiaries have signed their names. Done at Alejian Castle in the village of Harthyr in the Elwynnese Circuit of Wintergleam the Twenty-Fourth Day of Oskaltequ in the Year 1647.